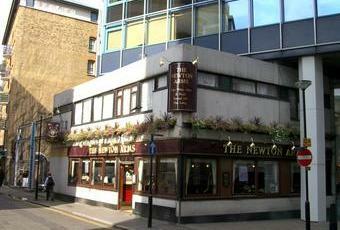 The Newton Arms is the sort of pub tourists ignore; not near major sites, plain looking, and catering to drinkers rather than eaters & coffee sippers. There is food & it looks tasty, but most punters on my visits over the years have been local workers & sports fans, necking pints & bantering with the bar people. A good pint of Adnams Bitter (3.70); last year's visit I had several of them watching a British Lion's test from Australia with a fantastic crew of rugby fans. Ordinary looking pub but the food was good and the manager was very nice to my young son and his friend. Had a good pint of Adnams bitter.